The early 20th century was a monumental period in aviation history. It saw several milestones and tragedies: from the first airplane flight made by Wright brothers in 1903 to the first airplane passenger death five years later. It was during the same era when some of the world’s earliest aircraft flew their way into America’s new colony–the Philippines. A year after the Shriver’s Skylark became the first airplane to fly over the country, the colonial government envisioned another landmark event that would soon be included in the annals of Philippine aviation. However, news reports published later on revealed Hare’s true intentions: he wanted “to impress upon the savage tribes the absolute supremacy of the Americans.” For him to accomplish this goal, however, he needed the help of the aviator Lee Hammond. The American pilot was in Manila to perform a series of flying exhibitions. He had been flying in the carnival for nine days when Hare convinced him to let one of the tribesmen join him in a flight. The lucky one turned out to be Gagaban, an Igorot chief. 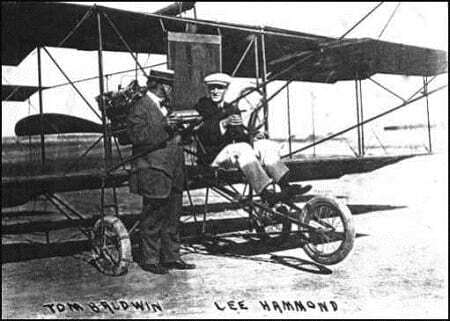 On February 12, 1912, the brave Filipino accepted Hammond’s invitation to fly with him. Before Gagaban, no other native had ever flown as a passenger. 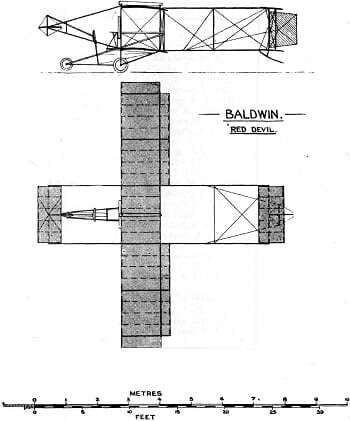 The aircraft that would carry out the historic flight was a “Red Devil” biplane designed by pioneer balloonist Thomas Scott Baldwin. Of course, a milestone such as this wouldn’t be complete without the much-needed photo op. An American photographer immortalized the Igorot chief by capturing a photo of him while sitting at the controls. 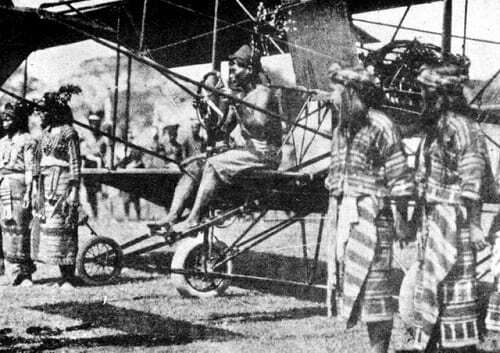 According to accounts, Hammond and Gagaban “sat on the open in the forward edge of the lower wing, the engine facing backwards behind them.” The whole Igorot tribe probably felt uneasy as they witnessed how the American aviator took their chief on a “fast ride across the exhibition grounds” and up to 1,500 feet. At that point, Gagaban officially became the first Filipino to fly as a passenger. Take note that it would only be years later, in 1920, that a Filipino pilot named Alfredo Carmelo was able to fly solo for the first time. No one bothered to describe what Gagaban felt before and during the flight, but based on the usual emotions felt by first-time flyers, we can only imagine how scared and amazed he was. After all, he was riding an aircraft that was no better than the wobbly version flown by the Wright brothers in 1903. 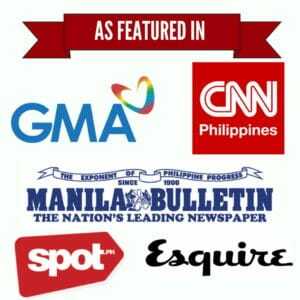 Although considered a notable event, the news about Gagaban’s flight was not well-received by all Filipinos. In particular, they criticized how American newspapers portrayed the Igorots (described as either “wild men” or “head hunters”) as representatives of typical Filipinos in the colony. Indeed, there’s more to Gagaban’s story than meets the eye. Santos, E. (1981). Trails in Philippine Skies: A History of Aviation in the Philippines from 1909 to 1941(pp. 22, 150). Philippine Airlines.